moonGO™ app is the fastest and most reliable way to buy/sell and store cryptocurrencies. The app allows users to convert cryptos directly to EUR/USD to be loaded into their moonGo™ card and be used anywhere worldwide whether they’re shopping online or spending it at a physical retailer who accepts credit cards. VANCOUVER, British Columbia, July 23, 2018 — CoinField, the most advanced cryptocurrency exchange in Canada is now extending its services worldwide thanks to a new partnership with Malta’s Manticore Ventures to create moonGO™, a powerful app designed for traders who thrive on agility, flexibility and security. With moonGO™, users can set up their trading accounts in about 60 seconds, withdraw fiat currency as Euro or US dollars in the form of moonGO™ cards, and use the moonGO™ cards to make purchases online or at any retailer that accepts credit cards. The moonGO™ app will take CoinField’s sterling reputation outside of Canada and make its services available to every country in the world except the US and the nations on the US/UN sanction list (Iran, Syria, Sudan, Cuba, North Korea, Burma, Côte d’Ivoire). “Our vision is to bring the cryptocurrency to people’s lives in the most convenient and simple way, and make it available to well-qualified traders in most countries worldwide,” CoinField CEO Babak Bob Ras said. “While the users benefit from commission-free trading, they can also convert their assets to fiat at anytime and spend it anywhere in the world through our moonGO™ cards. The app offers commission-free buy/sell transactions for popular cryptocurrencies including: Bitcoin, Ethereum, Ripple, Dash, Litecoin, Bitcoin Cash, Bitcoin Gold, Select ERC20 coins & non-ERC20. But moonGO™ goes beyond the exchange of cryptocurrencies. 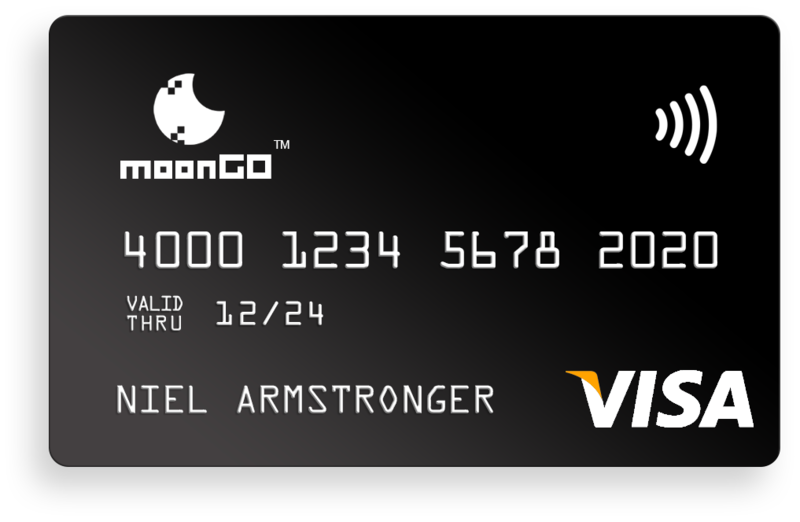 It allows users to withdraw their funds in Euros or US dollars using moonGO™ virtual cards. These cards can be added to their Apple Pay, Google Pay, or Samsung Pay accounts. Users can also withdraw their digital assets to their wallets outside the platform at any time. moonGO™ will enforce that statement by actively and voluntarily filing reports with regulatory and enforcement agencies that ensure a safe, legal, and secure trading experience for all users. Among moonGO™’s additional layers of security is the new Secret Vault technology: a virtual “safe” storing sensitive information behind a virtual cloud with a hidden location. The app also features Multi-Signature Wallets that require signatures from multiple peers to ensure legitimacy; DDoS Protection by Cloudflare; Isolated Server Access; and Suspicious Activity Logger. All of these components unite to create a hack-proof trading ecosystem. ● moonGO™ will launch its alpha version in Q4 2018 with a maximum of 250,000 users from the aforementioned Phase One email registration. ● The moonGO™ app will be available to the public in Q1 2019. ● CoinField and Manticore hope to bring moonGO™ to the US market during fiscal year 2019. Company: Central Crypto Exchange Corp. & Manticore Ventures Ltd.
Have a press or media request?